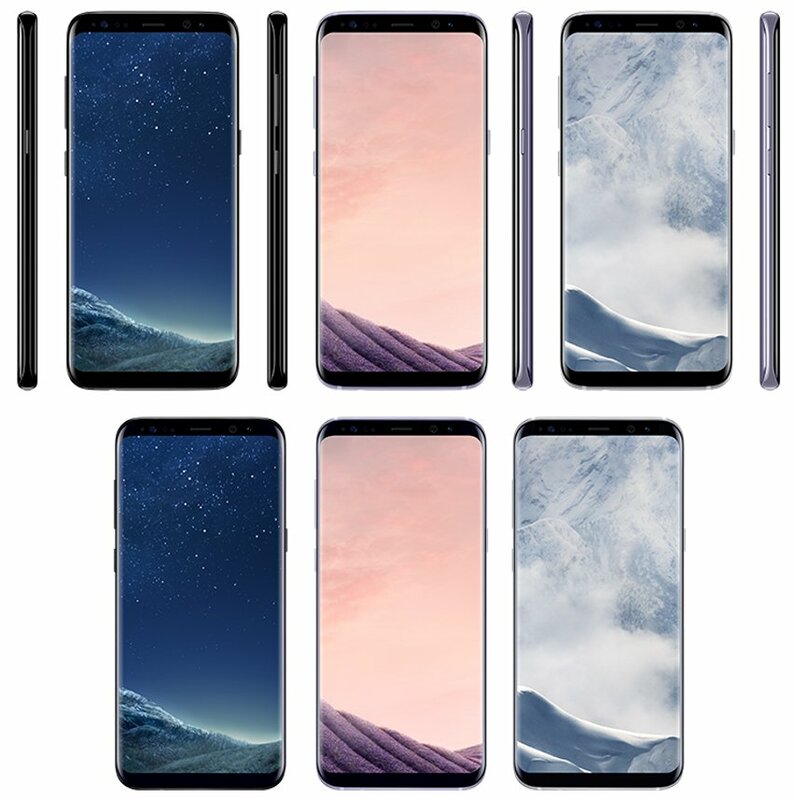 In this image we can see the Samsung Galaxy S8 and S8 Plus (top to bottom) In the official colors black sky, orchid gray and arctic silver (left to right). As you can see, all versions will have a black front. 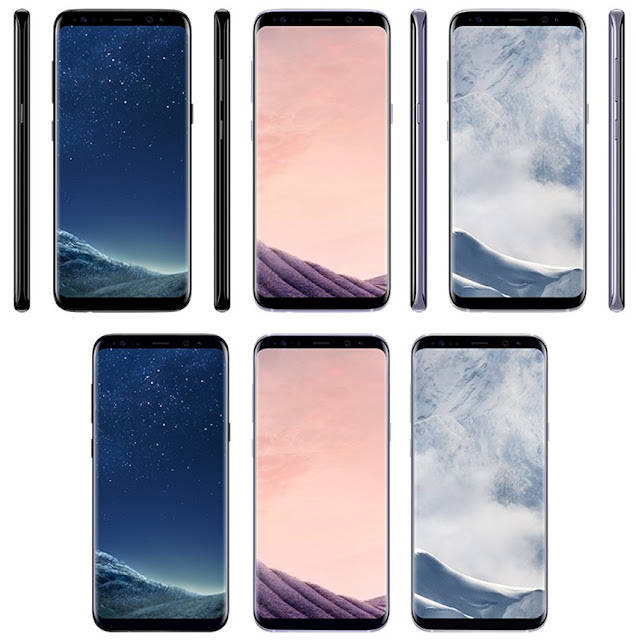 Which color will you buy it in? Personally, I like the Black Sky and Orchid Grey best. But I think I have to see them in real life before I decide.